Keep organised with the Letts Milano Diary. The A5 size is the great for at home, work or even on the go and the week-to-view layout ensures you can keep organised at a glance. The grained leather-look finish and the blind embossed date and logo detailing give this diary a classic and refined style, whilst the padded cover ensures that your diary will hold up to whatever 2019 throws at you. 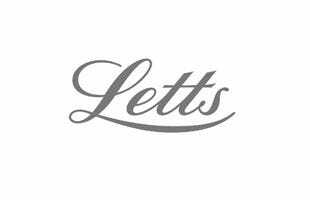 Letts have been making quality diaries with distinction since 1812, combining traditional bookbinding and hand finishing. Luxurious textures such as grained leather-look are paired with fine detailing including gilt metal corners and page edges. Choose from a wide range of clever formats that allow you to plan both your business and personal life; day to page, week to view, month to view (with or without appointments). Sizes range from slim, pocket, quarto (slightly more square than A4), A5, A4.